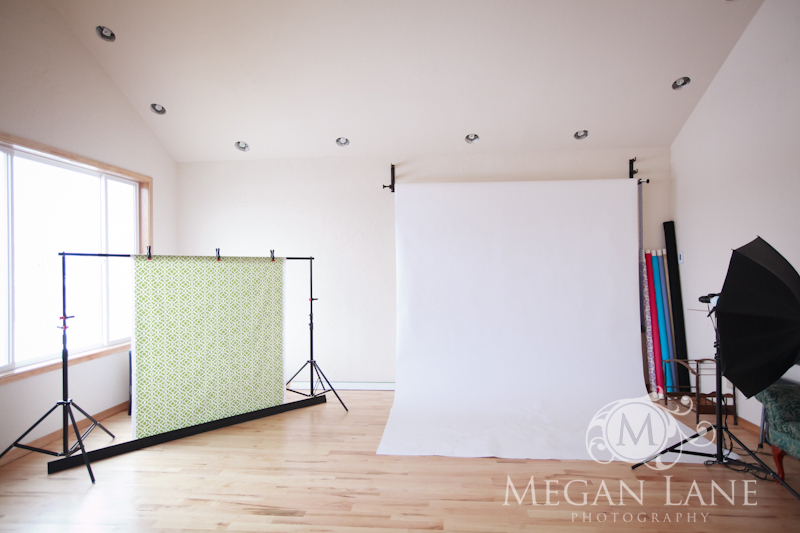 I would like to welcome you all to the beautiful, new, oh-so-fabulous Megan Lane Photography Studio! This studio space has been in the works for over two years, and the fact that my [incredible] hubby Scott built it entirely himself makes it even more special(!!). We broke ground in May of 2011 and this November we were finally able to say “WE’RE DONE! !” (there were also quite a few “whoohoooo’s” and “YIPPEEEE’s” and booty-shakin’ happy dances, I’m not gonna lie:). And we’ve been having awesome photo sessions there ever since! Which means that I’ve been quite remiss in not posting pictures of the new space…yikes. But better late than never, right? 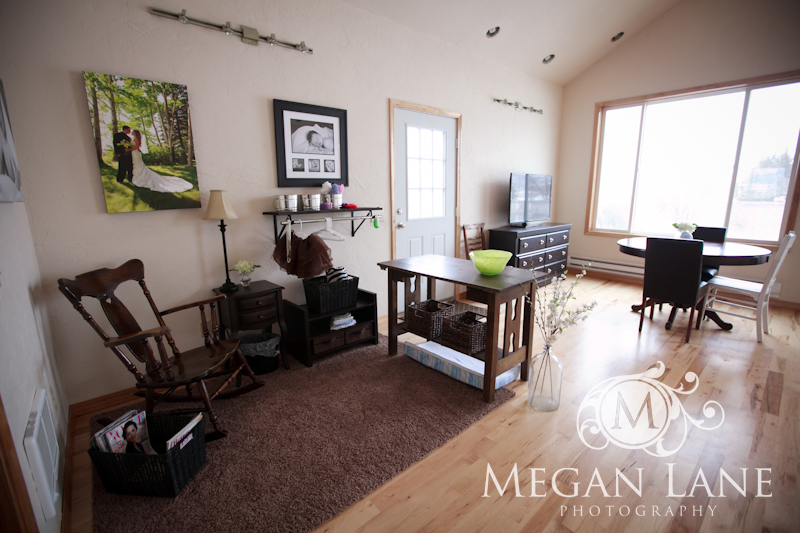 :) So I’ve finally prepared a little virtual tour for you guys! Here are our shooting areas. The seamless white backdrop is super versatile and can work for one tiny baby, a couple energetic toddlers, maternity sessions, or family pictures. The smaller backdrop system to the left is perfect for babies and toddlers. 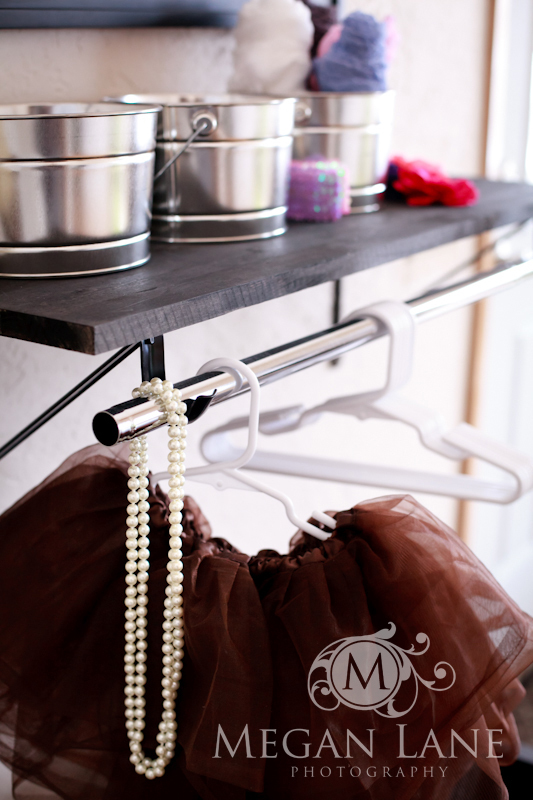 The small backdrop can be switched out quickly (you can see some of the other backdrop options leaning in the corner) and I’ve got lengths of trim painted several fun colors so we can mix and match for all kinds of different looks! 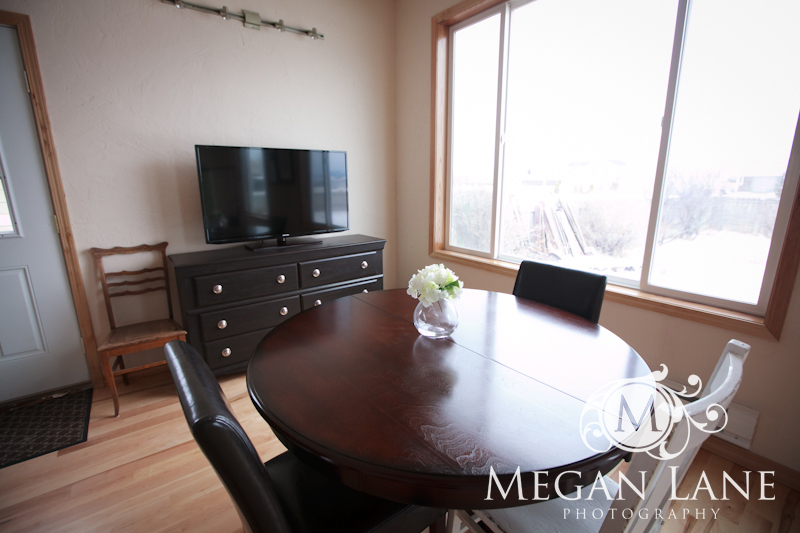 Here’s the space that’s devoted to hanging out! 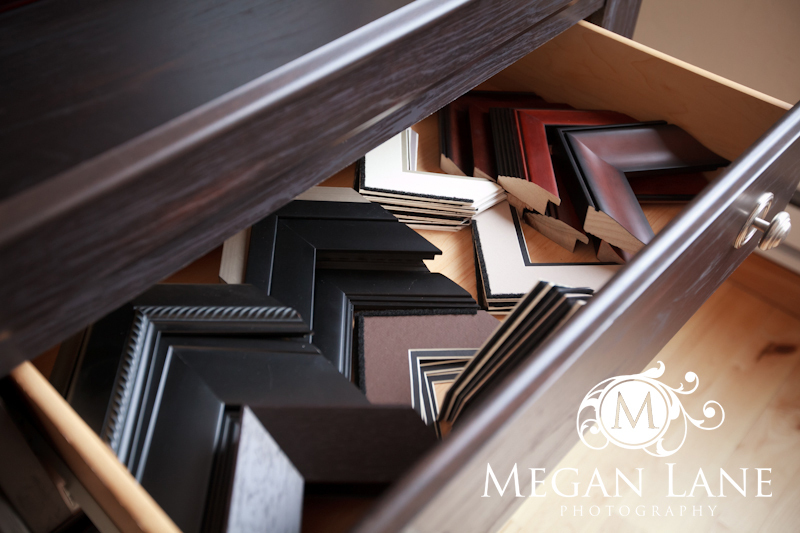 After Photo Sessions, clients come back to the MLP Studio for their Ordering Session and we enjoy a glass of wine (or a beer) or a cup of tea (or coffee) while we view all of their pictures and plan the perfect wall display, album, or canvas grouping for their home. This is also where I get to talk weddings with brides & grooms (and/or Mothers of the Bride/Groom) – such fun! 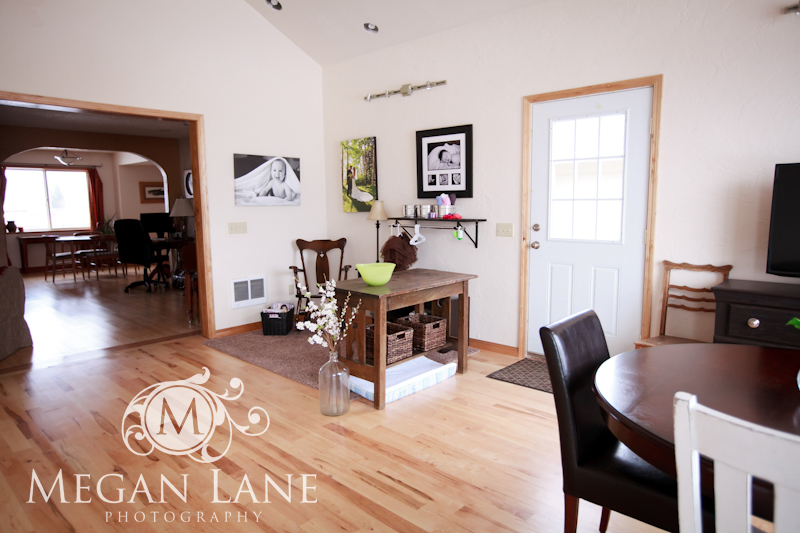 From this angle you can see the private Studio entrance (the door on the right) so you can come directly into the Studio from outside. You can also see the opening that connects the Studio to the rest of our home. 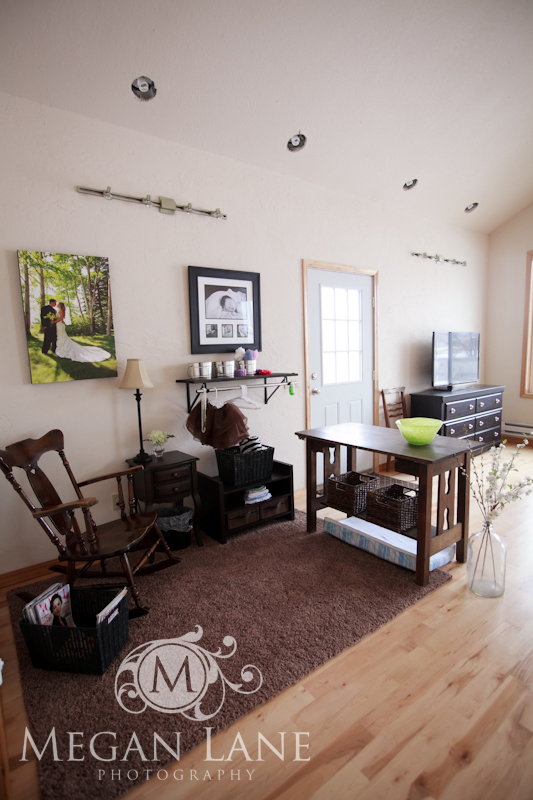 From the beginning I knew that I had no desire to move the business out of our home, and we wanted the Studio to feel like an extension of our living space, so connecting it to the house like this was the perfect solution for us! We also have plans to build a big barnwood door (which will be hung with external sliding hardware) so we can easily close off the Studio from the rest of the house when desired. Plus the barnwood will make a really cool backdrop! 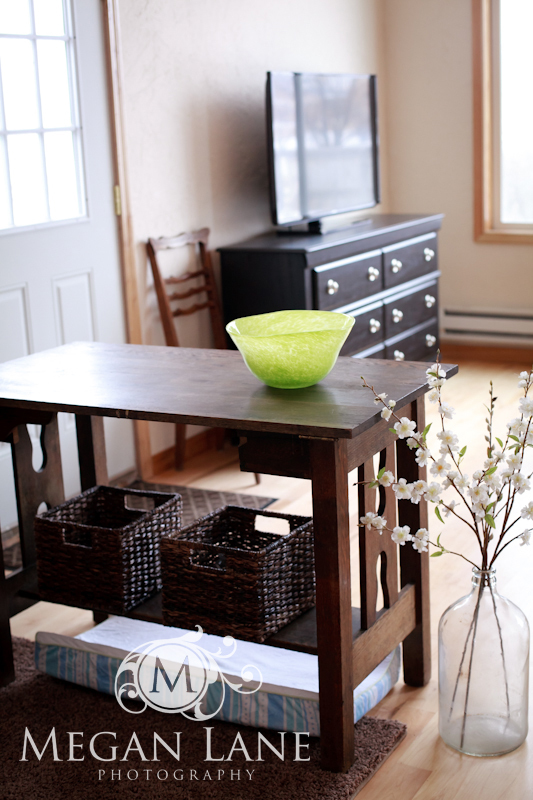 The entry table also doubles as a changing table (see the changing pad underneath? We just put that on top and, voilà! change away!:). 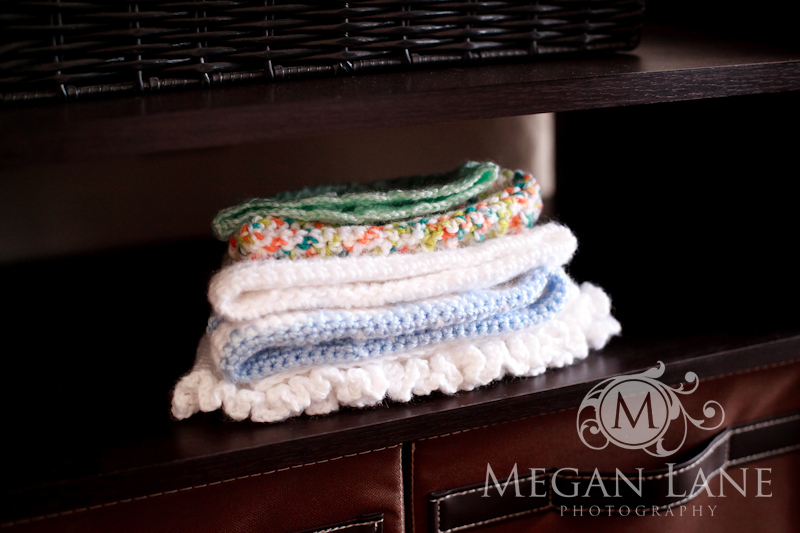 The baskets underneath hold extra wipes and other baby necessities. 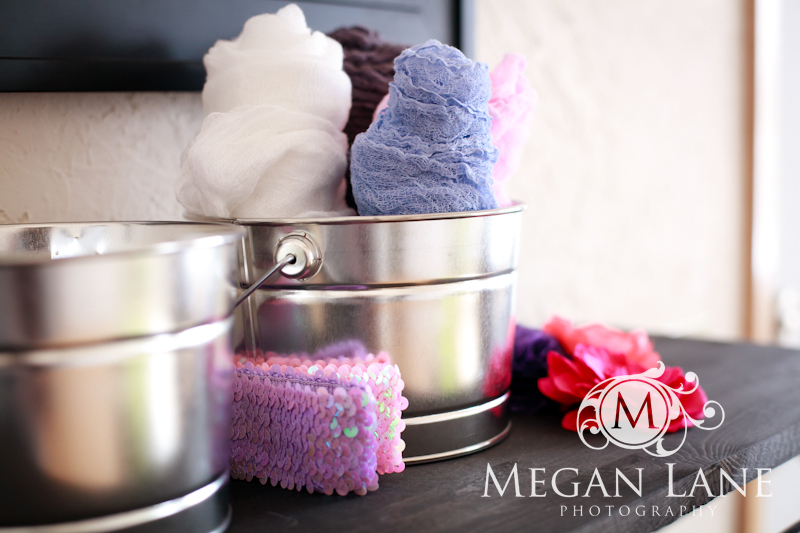 I guess I should just admit this now: I’m pretty much addicted to buying little things that can be used during photo sessions…. 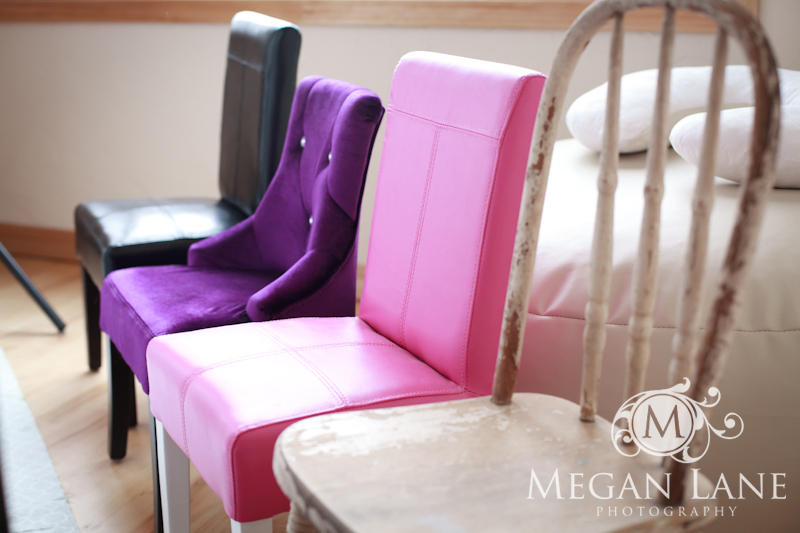 And we’ll end with a shot of my collection of tiny little chairs. So there you have it! 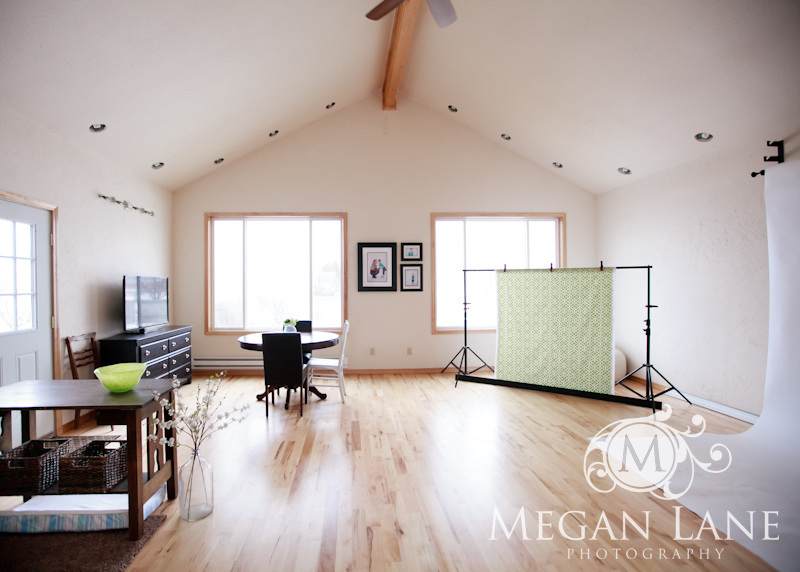 The Megan Lane Photography Studio! 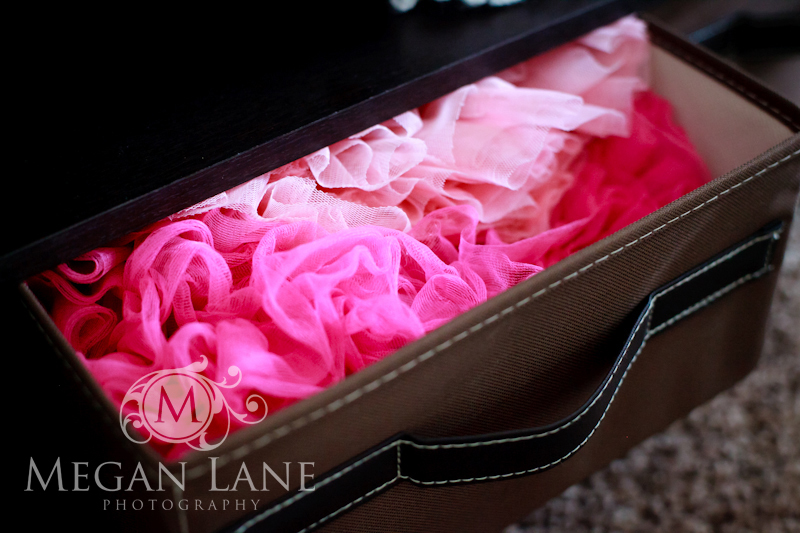 We’ve tried to think of every little detail to make your photo session as fun and relaxed and pampering as possible – AND to make sure your pictures are absolutely gorgeous!